I wanted to study abroad as I am from Germany. I started looking into possibilities and after looking at a number of UK universities I chose Plymouth – I am so glad I did – it was definitely the right choice. My time in Plymouth has been absolutely awesome. I have not only made new friends from all over the world but learned so much to become a future expert in logistics. I would definitely encourage others to study at the University of Plymouth. The city is a great place to live and the University teaches at an extremely high level. 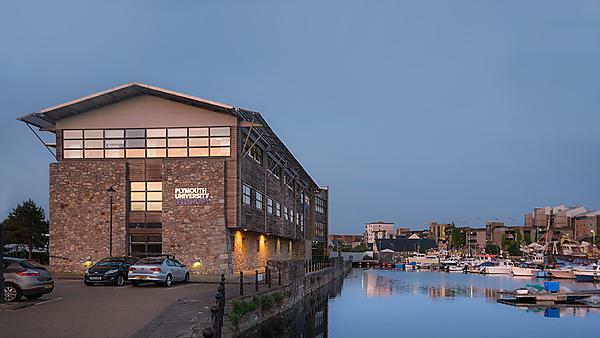 Plymouth University was cooperating with my previous university in the Netherlands. We heard a lot of good stories before about the content, city and the life outside the University. It was great to get in touch with students from all over the world. It's a great chance to receive your masters degree within one year, experience a new culture and live in a city full of students from all over the world. And it is not as rainy as you might think it is. During my BA studies in the Netherlands, I found out about the co-operation between my home university and the University of Plymouth. The main motivation for me to choose the programme in Plymouth was the interesting degree structure and the opportunity of studying abroad. I spent only one semester at the University of Plymouth, but I really enjoyed my time there. Plymouth is a really nice city, close to the ocean, and surrounded by other beautiful places. The University atmosphere was independent and relaxed and the staff kind and supportive. The University also offers many different social activities. Yes, I would certainly encourage new students to study at Plymouth. Both the city and the campus are most welcoming settings. It was all a great experience which I will never forget!